The title is a bit unfortunate. It might even be a spoiler. It feels like a working title someone forgot to replace. You could take pretty much any sequence of three or four words from within the game and come up with a better title. But I suppose it has to sell. At least it’s not called Cultist Tycoon. If I were Kennedy’s publisher, I’d hector him into calling it Cultist Tycoon. Once you get past the first few games and start learning how everything clicks together, you get sucked in. 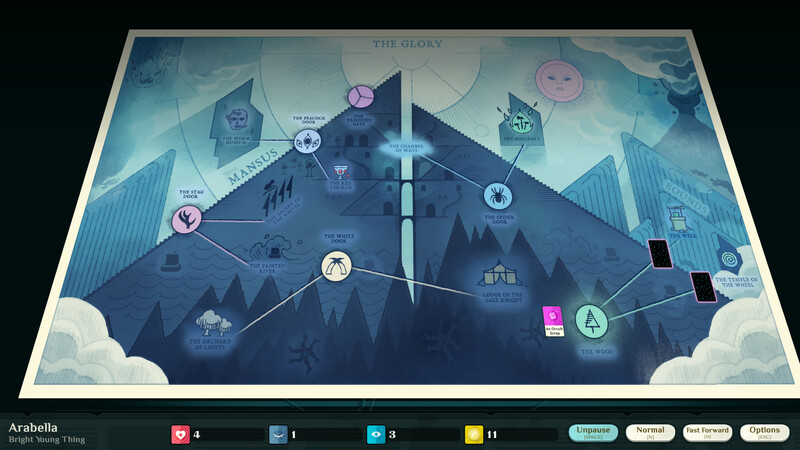 There's plenty going on in Cultist Simulator, and the game rewards you for every new detail you uncover and use. 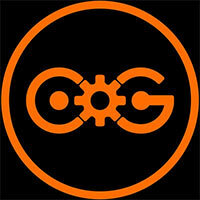 Those with the willpower and skill set to find the right card combinations for a victory will reap the rewards. 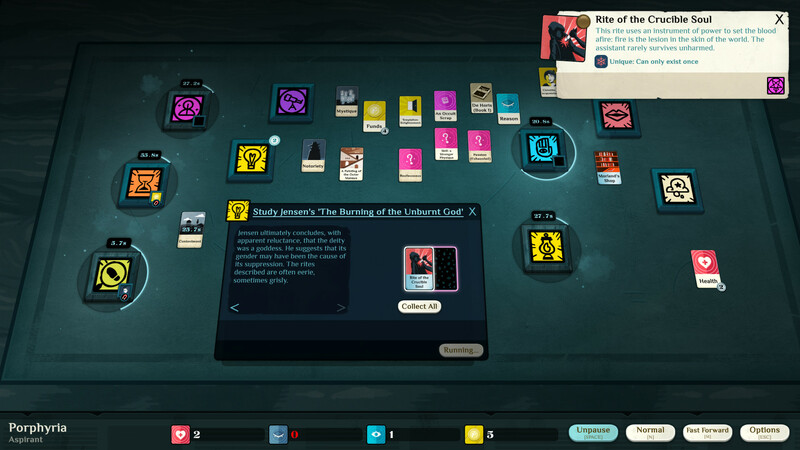 The quality of Cultist Simulator‘s writing and intriguing setting coupled with its arduous gameplay made me wish I was reading a surrealist novel rather than grasping at some sort of narrative with all these disparate cards. While I can appreciate the game’s own attempt at experimentation with its indefinite gameplay, tabletop format, and fragmented story, I could not find much enjoyment in constantly wondering what I was doing and asking myself why I was still playing. Cultist Simulator is an incredible game. The minimalist graphical details actually focus the player on the narrative, drives the theme and adds to the building suspense and unease. The different story progression options are interesting and detailed and each attempt will bring new understanding, based on player experience and experimentation. In a way, this mobile format for Cultist Simulator is ideal. You can whip out your phone, place some cards, and watch timers tick down in small chunks instead of playing in long, dedicated sessions that may or may not yield the rewards you seek. Even in this form though, the time investment required to understand just about anything going on in the game pushed me away from it. 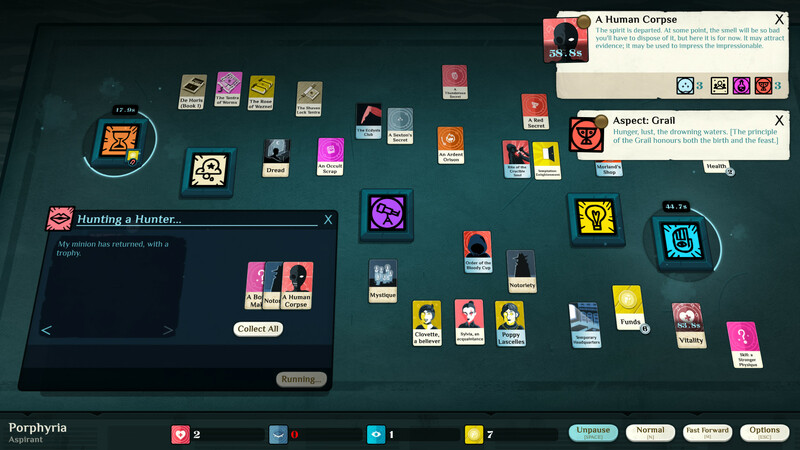 I’m all for games that create a sense of discovery and mystery for players to discover, but Cultist Simulator’s obtuse nature—while fascinating—is overwhelming. The game unfolds in entertaining and challenging ways that I can’t share in great depth (again, I would be spoiling a lot of the fun if I did so), but I will say that what starts as a simple card game becomes a story-creation engine that includes summoning alien gods, sacrificing friends and foes alike, founding cults, and much more. Just be prepared to discover this world as you go along, as long as you don’t mind losing your sanity (thankfully only in terms of the game) along the way. It’s filled with poetry, like descriptions of a vial of Greydawn Oil that’s “the precise color of the hours when one cannot sleep,” and it makes you want to explore and unravel its mysteries. And it makes you work for it, reading between the lines and imagining a realm unseen. Though I have some minor quibbles about the game’s interface, I find myself returning to its world again and again. Much like the Lovecraftian world it works within, if it does get under your skin then there is a huge amount of game here to explore that may just drive you to the brink of understanding, or the depths of despair. I applaud the design of the game, and can appreciate the form but, for me, this was a cult that I couldn’t surrender myself to. 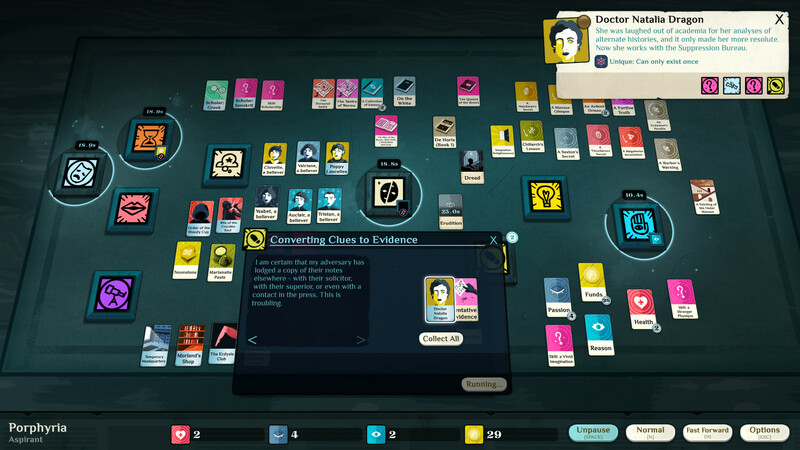 There are stronger titles when it comes to emergent narratives, and deeper games that ask for strategical thinking, but Cultist Simulator balances all its elements into something quite remarkable and unique. It won't hold your hand or light your way, but it will challenge you, it will frustrate you and just possibly, if you have the will for such endeavours, it will present you with a truly rewarding experience. 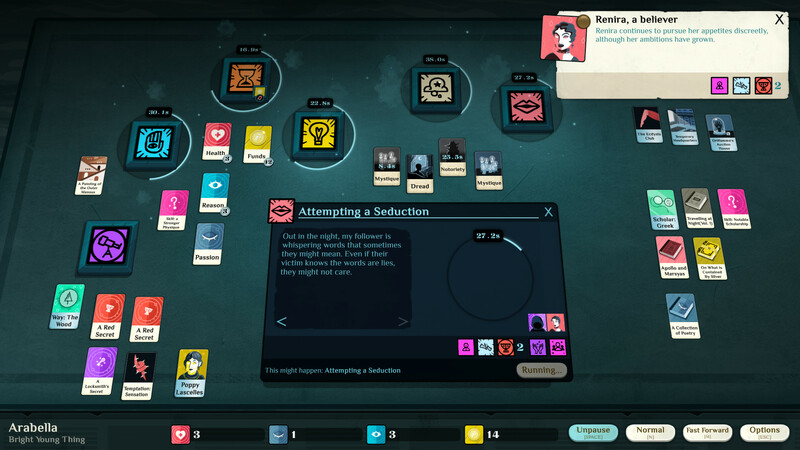 Cultist Simulator tiene cosas que contar. Historias sobre sectas, sobre seguidores, sobre sociedades huecas y vidas vacías con sueños y aspiraciones que nunca llegarán a realizar. 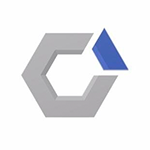 Con su diseño colorido y música minimalista resulta mucho más inmersivo de lo que parece a primera vista y, tras dar el salto inicial, supone un agradable reto en el que la estrategia, la gestión de recursos y una pizca de suerte resultan mucho más importantes que la habilidad. 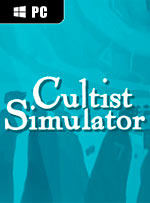 Cultist Simulator è un titolo ambiguo, interessante, appassionante, ma anche problematico. Lascia una grande libertà di azione al giocatore, pur raccontando una storia appassionante e profonda, ma allo stesso tempo lo frena, facendogli quasi rimpiangere la quantità di scelte a sua disposizione. Rimane pur sempre una bella esperienza e uno di quei titoli che, se presi dal verso giusto, sono capaci di lasciare il segno. Fate attentamente le vostre valutazioni.